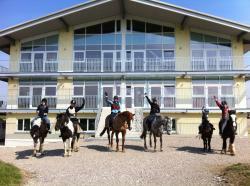 We specialise in residential English and Horse Riding courses for unaccompanied young people aged 8-16 years. 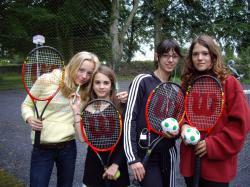 All our teachers are fully qualified. There are accompanied excursions to Dublin or Causey Farm and other tourist sites nearby. 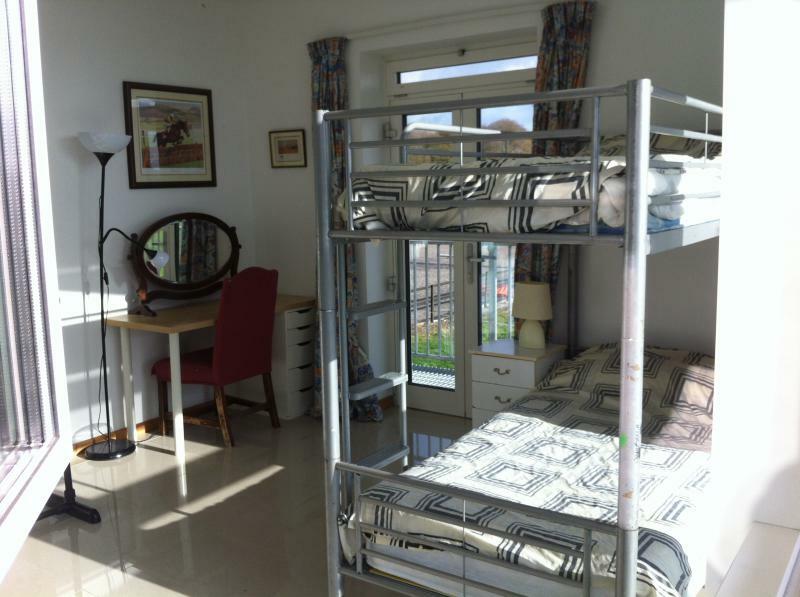 Everyone stays in our modern purpose build accommodation on our farm only 20 km north of Dublin. Because we tailor our programme for the needs of the individual, 40% of our students return to RMEC for another year. See our movie on YouTube: https://youtu.be/HxpUsIMsSk0 & https://www.youtube.com/watch?v=SErpldCIRkI to see 2018 Group Visit from Spoleto Country Club, Italy. Our English Teaching staff are experienced in identifying the individual needs of each student ensuring everyone learns at a level that suits them so they can reach their full potential. We keep groups deliberately small to allow more time for genuine one-to-one teacher/student support. Our courses are designed to complement the school national curriculum in the hope that students can flourish in their English Language lessons when they return home. 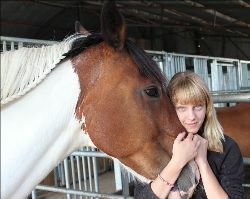 Students will receive 15 hours classroom English and 15 hours fun riding per week. 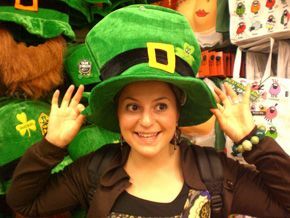 Because we take students from all over Europe, there are lots of opportunities to practice English conversation outside lesson time, this enhances their learning experience. Students stay and eat all meals in the new purpose built complex at the Equestrian Centre at Smithstown Farm with the Beggan Family. All the dormitory bedrooms are ensuite and students sleep in bunk beds. With panoramic views over the Meath countryside, you can see your the horses and ponies eating lush green grass from your bedroom window! The new complex also has a dinning room catering for up to 30 people. 24 hour adult supervision in secury farmland location. - 40% of students return to RMEC... See our Testimonials Page for what they have to say about us. 08.30 Make your bed and tidy your belongings. 20.15 Evening Snack – Hot chocolate & biscuit, toast. The Course starts every Saturday evening at 7pm with a 'Welcome to RMEC: Introductory Talk and Health and Safety Briefing'. The Course ends on Friday at 7pm with Prize Giving. Saturday is Arrivals/Departures Day, and rest day for students staying 2 weeks or more. Anyone who arrives or departs outside the standard airport transfer time (Saturday 10am - 6pm) will be transferred by private taxi and pay the driver directly. If you arrive on any other day except Saturday you may not receive the full programme of 15 hours English and Horse Riding. No additional charges apply (but your flight is not included). Please book your flight to Dublin to arrive and depart between 10:00 a.m. to 6:00 p.m. on Saturday to take advantage of our FREE airport shuttle. 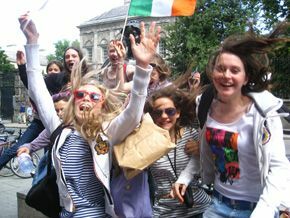 Students arriving outside this time will be charged 100 euro each way. Places are limited, so do not wait to reserve your holiday! You must pay a deposit of 300 euros for a 2 week stay payable by bank transfer. 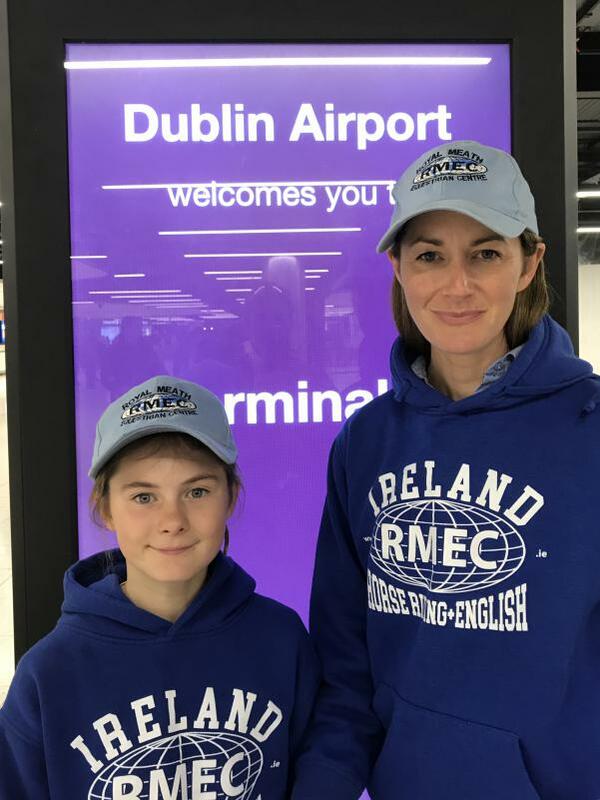 You will receive a free blue RMEC baseball cap that all students MUST wear at the airport and on excursion for identification purposes, the RMEC blue hooded sweatshirt is an extra 40 euro. 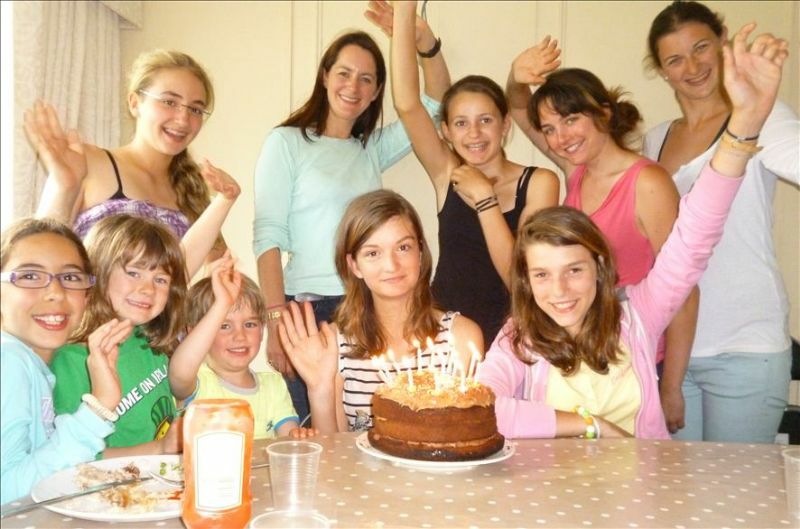 We can cater for groups all year around. If these dates do not suit you, please email Amanda – we will be happy to add more dates to our calandar. a decent and fair price related to the activities offered. If you decide to send your child to our Royal Meath Equestrian & Language Centre Ltd, you don't need to worry; you won't ever regret your decision. What do we do next, how do I book a place for my child? Simply write, email or telephone us for an Application Form and Booking Form. "We left our daughter Solène in a safe and secure environment, she was well cared for and the English and Riding lessons were superb. 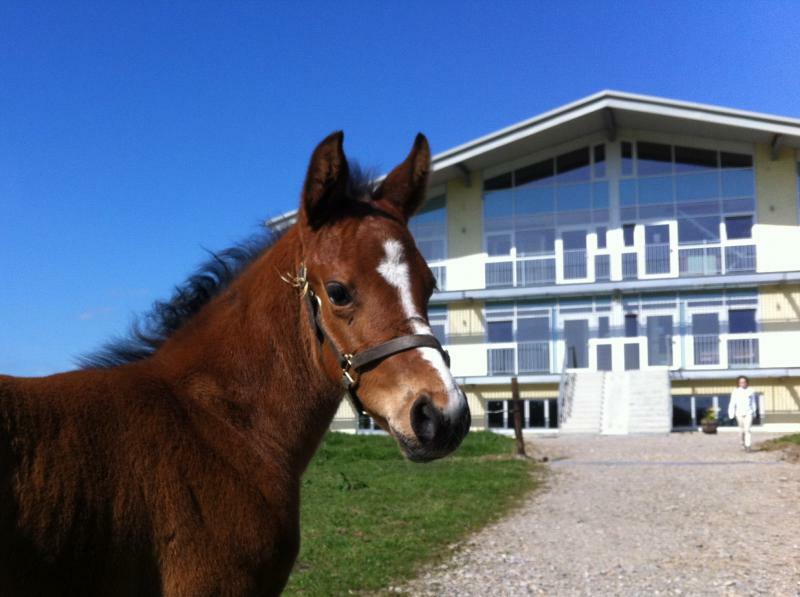 She is looking forward to returning next year with her little sister." 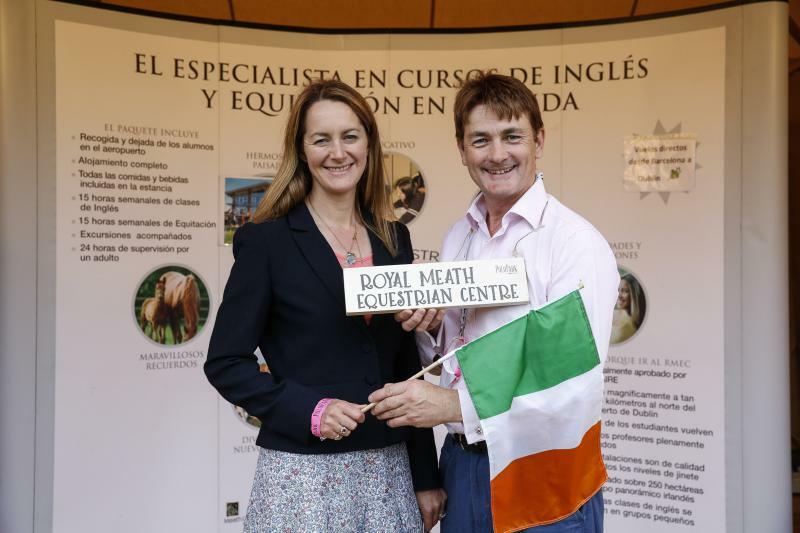 Royal Meath Equestrian & Language Centre Ltd.